How Bizarre is my first book. It tells the story of the record I released in 1995, the journey it and the people who created it undertook, taking in the good, the great and the inevitably sad. It is – for want of a better phrase – my way of documenting the very surreal road trip we found ourselves caught up in some twenty years back. 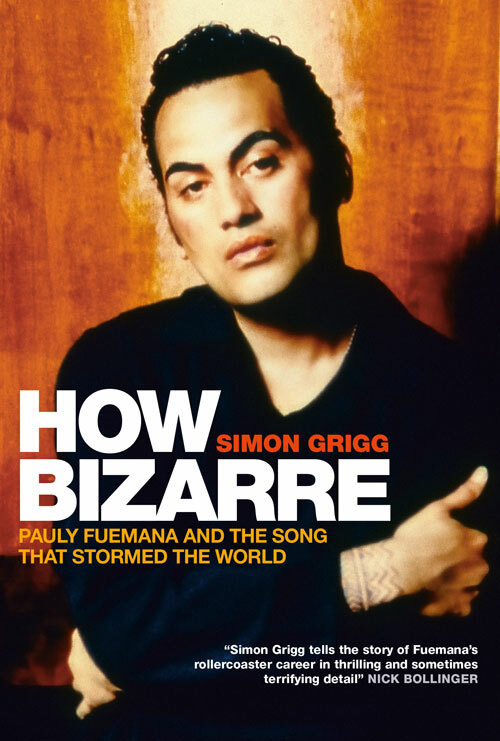 How Bizarre was published by Awa Press on August 23, 2015. This site is a work in progress, and the progress is best described as hesitant and stumbling as parts of the site are now over a decade old and desparately in need of a radical upgrade. It started life as a way of getting all my various labels, clubs and the things I've worked on over the years into one place, and that it's done. Slowly, in my amateur way, I'll upgrade. Now its developed another life, as I attempt to add various bits and pieces which relate the the NZ music industry and other things I've been involved with over the years. Hence, you'll find a series of discographies of other NZ labels, such as the hugely important Zodiac, Ripper, and Pagan. Much of this work has now been transferred to my recent project, AudioCulture. There are also bios of various bands, and a story or two about the punk days in Auckland, of which, more to come when I get a moment. I also have a blog, The Opinionated Diner (which desparately needs some TLC) and my wonderful wife, Brigid, has a design business at Hemisphere Design.